Research and scientific-cultural activities developed by CeAS for internationalization purposes have been addressed basically to three main regional areas: Africa, Middle East and Arab countries; Latin America; Asia (China). Along these three strategic axes, internationalization activities have been focused on following topics: “European citizenship”, as a cornerstone of the integration process, for its legitimacy and evolution towards a political Union, with common institutions acting in the common interest of its citizens, in view of the realization of a European public sphere, for greater participation, information and critical discussion by the people on public policies, and in order to face global challenges at regional and world level; “Dialogue between cultures”, as a basis and essential framework for effective integration of minorities, in view of the realization of a European model of open and inclusive society, aimed to greater social cohesion in the name of the values upon which the Union is founded; “Peace and Security”, as essential conditions for a new international order based on solidarity among peoples, where the Union will be able to play a role of global actor for human rights protection, humanitarian aid, combating terrorism and organized crime, along with economic growth in the dimension of sustainable development; "Heritage and cultural activities", as a factor of cohesion and human development, through which the Union is committed to environmental protection (landscape, territory, arts and craft goods, archaeological memories), and to the formation of a European and international higher education area, along with the promotion of information and communication technologies, towards knowledge societies. Series of lectures, seminars and study meetings: The "Socio-Political Dialogue in the Euro-Mediterranean Region”, 2012-2013; “Dopo le rivolte arabe. Prospettive nell’area mediterranea”, 2013; “Reflections on the Issues of the Arab Spring”, 2014; “I diritti umani alle frontiere dell’Europa: il caso del Sahel”, 2014; "Sahel in movimento: nuove soggettività sociopolitiche tra globale e locale", 2015. Publications: volume “Answering the Challenge of Dialogue”. Selected Lectures from the Cycles of Conferences, 2015. 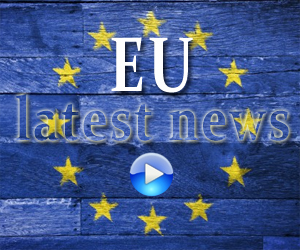 Further initiatives concern the development teaching and training activities related to the Master course in "European citizenship and Euro-Mediterranean integration”. More recently the CeAS has promoted and developed a plan to create the "Euro-Arab International University Institute of Rome" (EURAB Institute), based on an international partnership between various universities, foundations and organizations, of European, African, Middle Eastern and Arab countries, for the progress of the studies in the field of peace, justice and security, with particular attention to the Euro-Arab region because of its centrality in the balance of international relations worldwide. In terms of relations with Latin American countries, CeAS promoted university cooperation projects and publications. In particular, it should be mentioned the project on "Models of cooperation and regional integration", co-funded by the Italian Ministry of Education and intended to deepen the role of decentralized international cooperation in the relationships between the European Union (EU) and Latin America, with respect to universities and to local authorities, in the course of which it was organized the "First Interuniversity Forum Italian-Argentine", held at the university Roma Tre from the 14th to 20th June 2011,to promote and encourage inter-university cooperation between Italy and Argentina, in the aim to share good educational and training practices” concerning the mobility of scholars/students and the development of research/cultural activities. Regarding editorial initiatives, CeAS initiated, in order to promote comparative studies of Latin American and European legal systems, the project series of publications entitled “Biblioteca de Derecho Comparado”, with the publishing house Motivensa (Lima, Perù) in collaboration with scholars from various Latin American countries. 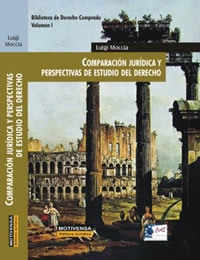 A first volume, “Comparación jurídica y Perspectiva de estudio del derecho”, has been published. A second volume,” Comparación jurídica y Nuevas fronteras del Derecho Latinoamericano” will be issued in 2016. In terms of relations with China, CeAS promoted initiatives to strengthen academic cooperation, within the framework of the objectives of the strategic partnership between the EU and the People’s Republic of China (PRC). 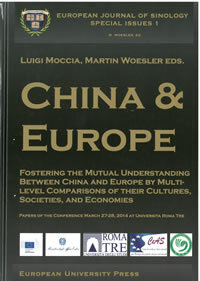 The launch of these relations coincided with the holding of the international conference entitled "China & Europe: Fostering the Mutual Understanding between China and Europe by Multilevel Comparisons of Their Cultures, Societies and Economies" (March 27-28, 2014), whose proceedings have been published by the European University Press. CeAS promoted in collaboration with Southwest Jiaotong University (Chengdu) the creation of an inter-university network for mobility of scholars and post-graduate students, entitled "International Postgraduate School of Humanities" and the establishment of the "EU-China Centre of Multilevel Comparison". Both of these initiatives are hosted at CeAS premises in Rome. Over the years several young researchers have collaborated on a voluntary base or with research scholarships to contribute to CeAS activities (see Archive) and to CeAS Working Papers series.